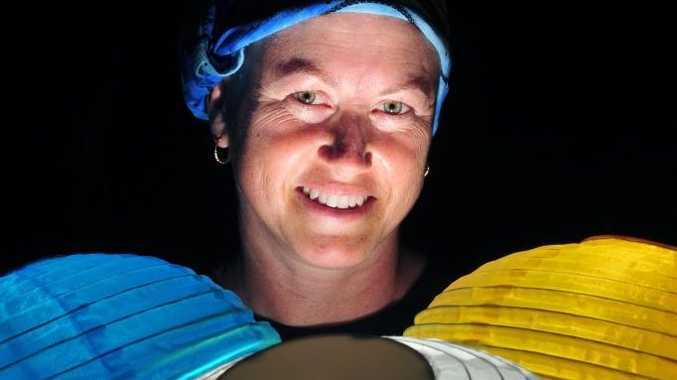 EVERY lantern has a story to tell and tomorrow evening Bargara's foreshore will be showered in light as lanterns burn brightly to shine the spotlight on the lives of blood cancer patients and their families. Branyan mum Narelle Wilson will again be attending the Leukaemia Foundation's annual Light the Night sunset walk with her Mark's Army team, in honour of her inspirational 10-year-old son Mark, who had a tough battle with leukaemia when he was four years old. While Mark is going strong now, it will be a bittersweet occasion as Ms Wilson has now been diagnosed with breast cancer. "We have made it a bit of a family tradition to go every year," Ms Wilson said. "This special event helps him and us to remember what a special young man he is and what he has gone through, and it gives us hope that one day there will be a cure, so no one else has to go through it, but in the meantime, with a special night like this and all the support shown, you are never alone. "This year is a bit special for us too as I now have breast cancer, and knowing that my son went through such a trying time and is a survivor is what gives me great strength." The Light the Night walk will be held at Nielson Park, Bargara from 5pm. To register or to get more information visit www.lightthenight.org.au or call 1800 500 088.